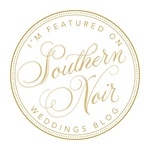 Hey there… I’m Tiffany, (aka Sunshine), a passionate Wedding Photographer based in Columbia, SC. I love love, so my passion is capturing those special moments when 2 become 1! When I’m not working and if it were my choice, you would find me lounging around the house in leggings enjoying my favorite - Cookies & Cream ice cream!! But that’s usually not the case because I have 2 beautiful daughters that definitely keep my husband and I busy and entertained with their activities. It can get hectic… but I wouldn't have it any other way!